This article belongs to the Poker Mathematics series. So the EV for rolling a dice is: (1 x 0,167) + (2 x 0,167) + (3 x 0,167) and so on. In total this adds up to 3,5. When it comes to EV in poker, there are basically two situations to consider, namely EV when you call a bet and EV when you make a bet. So ALWAYS aim to play hands with an EV larger than 1!!! For a review of the difference between decimal odds (European style odds) and fractional odds (American style odds) check out my article: poker pot odds; all you need to know. Let’s say you are playing an online tournament and the pot on the turn is 3000. Your only remaining opponent bets 500, what is your EV for a call? With your opponent’s bet of 500 the pot is now 3500 and you have to call 500 to stay in the pot. In order to calculate your decimal pot odds, simply add the amount you have to call (in this case 500) to the pot (3500+500) and divide by the amount you have to call (4000/500 = 8). So your decimal pot odds is 8 in this case. Let’s also assume that you have a total of 12 outs to win the hand on the river. Using the easy rule of thumb to calculate poker probabilities, this means that your probability of winning the hand come showdown is (2*12+1)% = 25% or alternatively 0,25. For simplicity we are assuming that the river is checked by both you and your opponent so no extra chips enter the pot. Now all that’s left to calculate your EV in the situation above is to multiply the probability with the pot odds, yielding an EV of 8*0,25 = 2. This means that for every chip you call in the situation above, you will on average get 2 chips back. Or as in the case above with your 500 chip call, you can expect to get 1000 chips back, meaning you win 500 chips in total. This result fits very well with the mathematical definition I gave of the expected value in the beginning of this article. Say you make the 500 chip call 100 times. In 75% of the cases you will lose your 500 chips, corresponding to 37500 chips. In 25% of the cases you will win 3500 chips, corresponding to 87500 chips. This means you will win on average 50000 chips in total over 100 plays, or 500 chips per play which fits perfectly with our previous result. EV in poker when making a bet is all about pot and pot odds control. 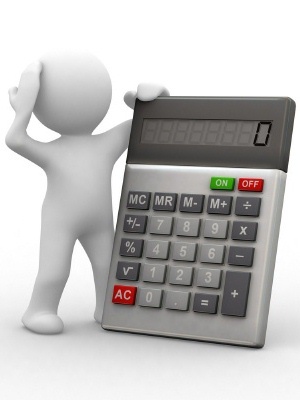 You want to be choosing your bet sizes so your opponent’s EV for calling is less than 1. Say you have a high pair and the flop comes with 2 hearts. The pot has 2000 chips in it and you’re up against 1 opponent as the first to act. In order to make sure your opponent’s expected value for calling is less than 1, you need to pay attention to the size of the bet you make. If your opponent is on a flush draw he has 9 outs to make his flush on the turn providing you do not have any hearts in your hand. 9 outs correspond to a probability of roughly 20%. What size bet should you make? So for a probability of 20% for your opponent to hit his hand on the turn, you need to be offering him pot odds 5 (1/0,2) for him to break even on average and less than pot odds 5 to ensure he has an EV less than 1. If you bet half the 2000 chip pot in the example above your opponent will be getting pot odds 4 to call, corresponding to an EV of 0,8 meaning that he on average will lose 0,2 chips for every chip he bets. I hope this article has made you realize that understanding the concept of EV in poker is key factor of becoming a winning player in the long run. Thanks for your comment. What non-mathematical factors do you mean? Can you elaborate?